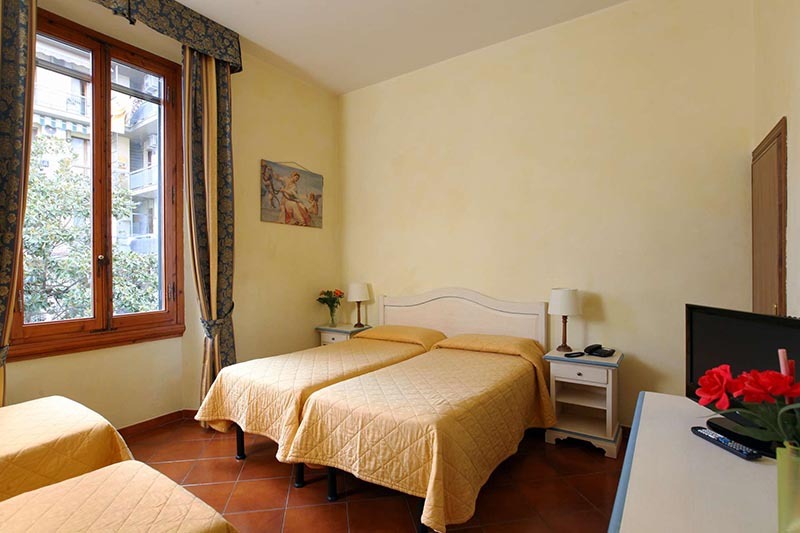 Hotel Bologna has 19 rooms, all comfortable and customized with warm materials and the famous artistic reproductions on canvas by Manifattura di Signa on the walls. All the rooms of Hotel Bologna have a private bathroom with shower, soft terry towels and welcome kit, hair-drier, adjustable air conditioning, TV with international channels, free wi-fi, digital safe, telephone, minibar, family rooms available, some rooms look out onto the backyard garden, others have a balcony on Via Orcagna. Ideal for business travelers or for single tourists enjoying a holiday in Florence. Ideal for couples. Our double/twin rooms can be equipped with two single beds according to the guests' needs. Ideal for families with a child or for a group of friends. Our triple rooms can be equipped with three single beds according to the guests' needs. Ideal for families with a child or for a group of friends. 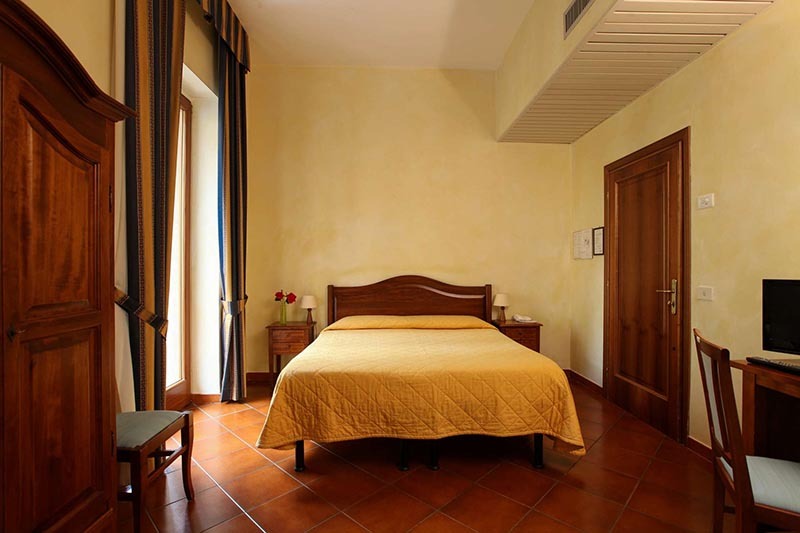 Our quadruple rooms can be equipped with four single beds according to the guests' needs.